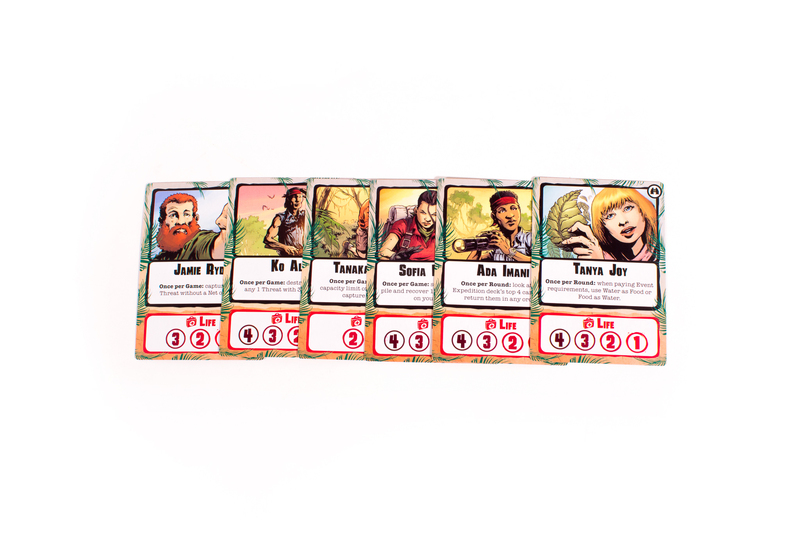 You and the rest of your team of scientists have been sent on an expedition into the heart of the Amazon jungle. As a team, you must ration your supplied wisely while dealing with the mysteries of the wilderness. 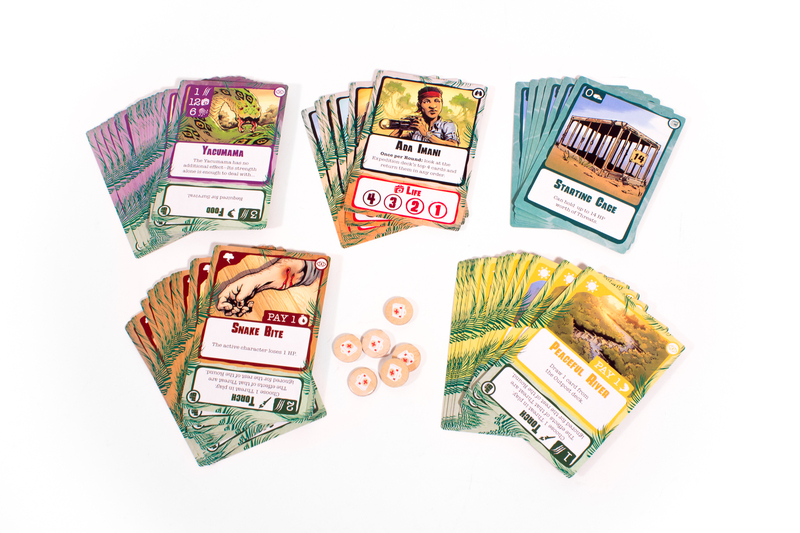 Can your expedition make it through the unexplored wilderness? 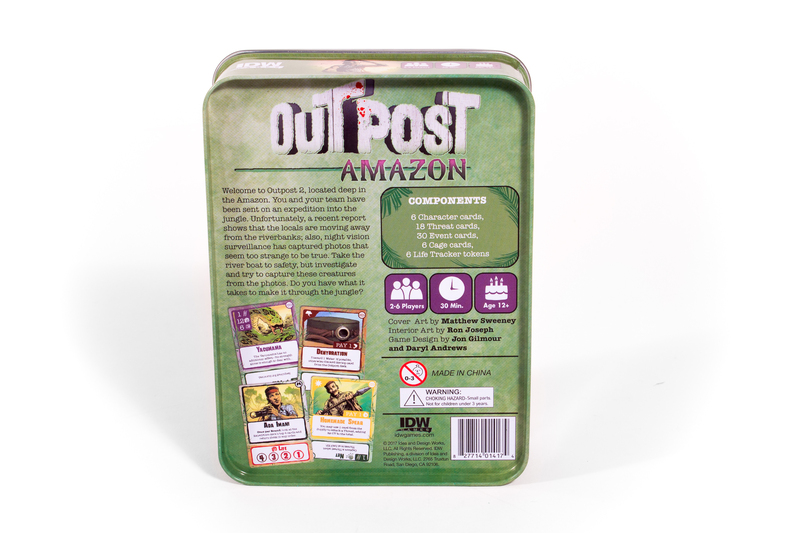 Outpost: Amazon is a cooperative game: all of the Players either win or lose the game as a team! 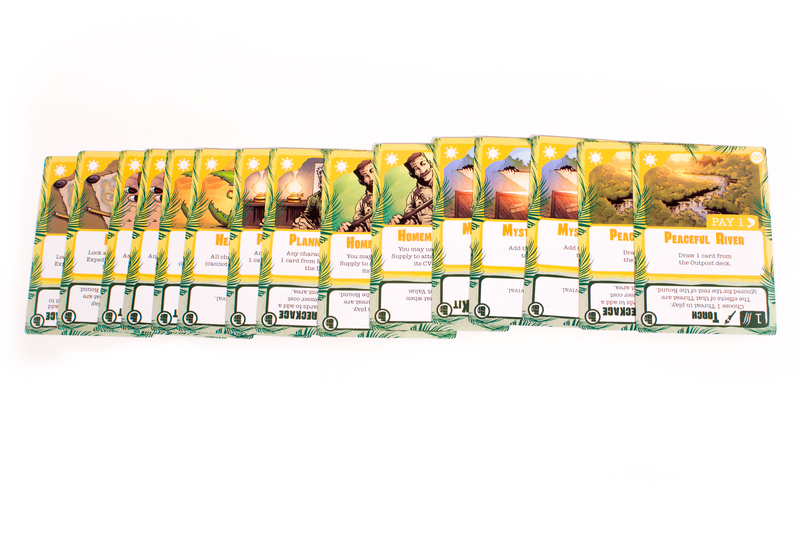 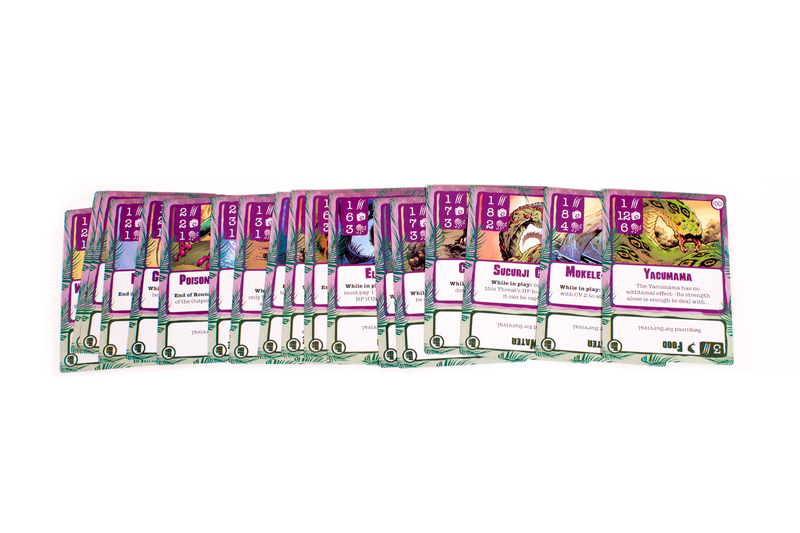 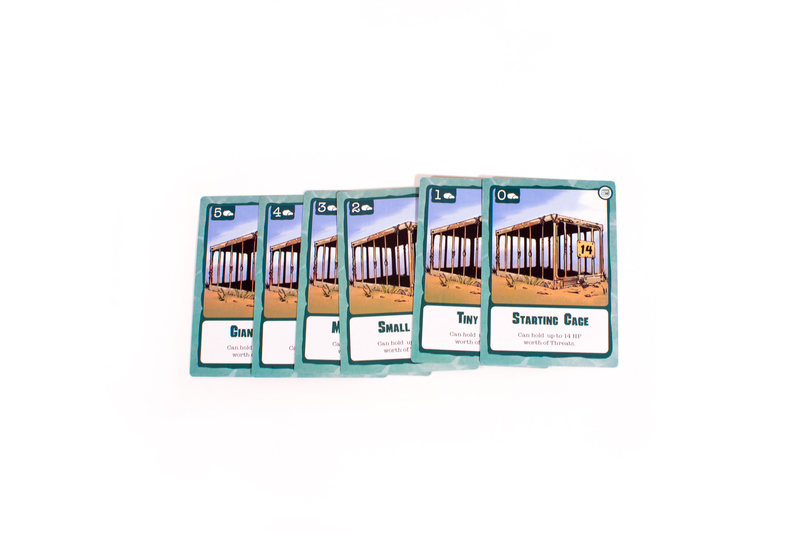 In order to win, all of the Players must survive until you reach the end of the Expedition deck. 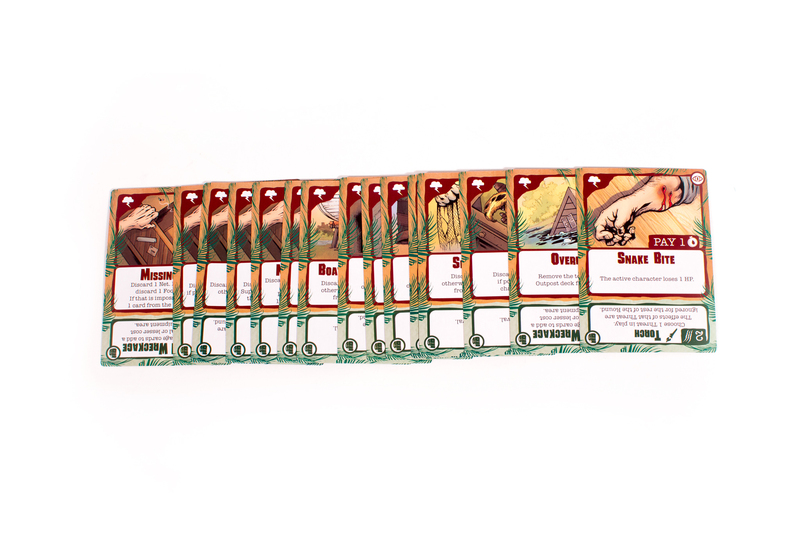 If a single Player is knocked out, everyone loses! 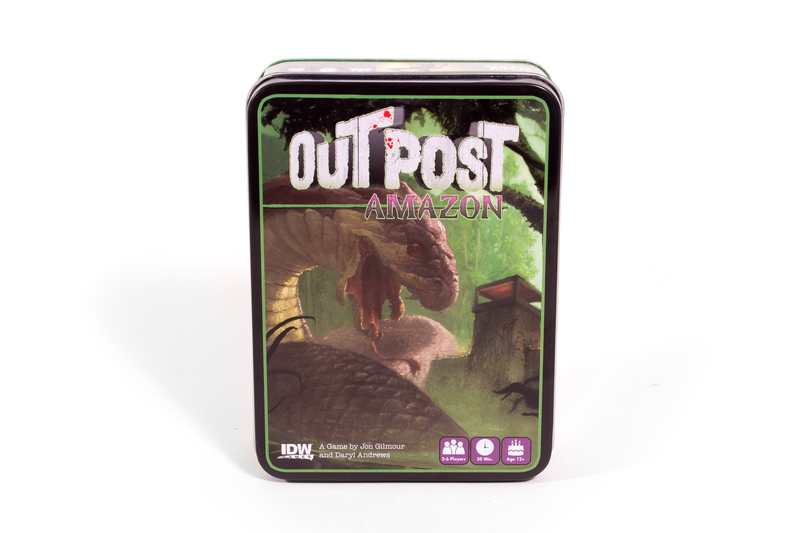 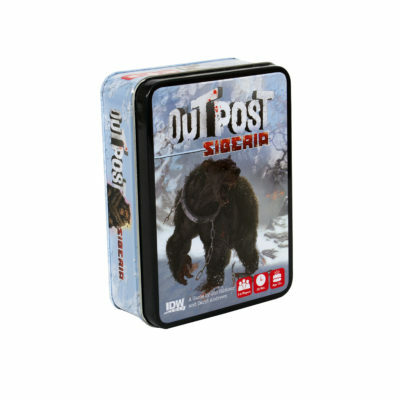 If you are already familiar with Outpost games, you will notice something new about this edition. 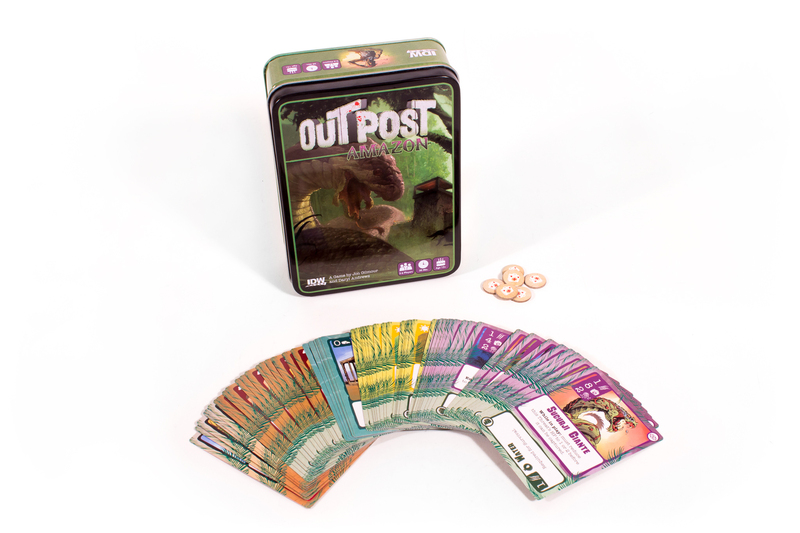 Now Players can score points based on the number of creatures they can capture during the game!